Hindalco Industries Ltd reported profit after tax (PAT) of Rs 414 crore for the first quarter (Q1) of this fiscal, up 43 per cent against Rs 290 crore in the corresponding period last year. 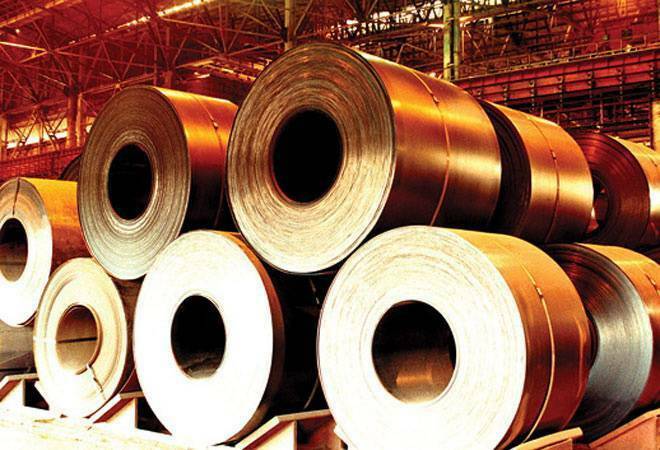 Aluminium major Hindalco Industries Ltd reported profit after tax (PAT) of Rs 414 crore for the first quarter (Q1) of this fiscal, up 43 per cent against Rs 290 crore in the corresponding period last year. However, as per Thomson Reuters data, analysts on average had expected a profit of Rs 421 crore. Considered together with its 100% subsidiary Utkal Alumina, the results are even better. "Highest-ever quarterly EBITDA [earnings before interest, taxes, depreciation and amortization] of Rs 1,951 crore vs Rs 1,661 crore in Q1 FY18 and Rs 1,807 crore in Q4 FY18, on the back of supporting macros and higher by-products realisations in Copper Business, partially offset by increase in cost of inputs, mainly coal and furnace oil," the Aditya Birla Group owned company stated in its earnings presentation, adding, "PAT double at Rs 734 crore this quarter compared to Rs 364 crore in Q1 FY18". Revenue (standalone) from operations of the company, which also manufactures copper products and fertilisers, inched up 1.7% year-on-year to Rs 10,593 crore in the quarter under review, but that was slight lower compared to the previous quarter (Rs 11,681 crore). Its total EBIDTA for Q1 stood at Rs 1,431 crore, up 2% from Rs 1,409 crore in the corresponding quarter last year. Hindalco's US subsidiary Novelis Inc, last month, signed the definitive agreement to acquire US aluminium maker Aleris Corporation for $2.58 billion. This was Hindalco's second biggest deal - after Novelis - and it is poised to create the world's second-largest aluminium maker. According to Reuters, on completion of the deal, Hindalco's consolidated revenue is expected to rise to about $21 billion. On August 7, Novelis had posted a 10% increase in net income to $113 million during the June quarter - up from $103 million in the year-ago period - on better operational performance and higher capacity utilisation. However, including some tax benefits, net income came in at $137 million, against $101 million in the year-ago period, attributable to common shareholder, the company reported. "Outstanding operational performance with increased asset optimisation and favourable market conditions contributed to another strong quarter," President and Chief executive Officer Steve Fisher said in a statement. The company, which deals in aluminium rolled products, also reported its highest-ever adjusted EBITDA (excluding metal price lag) at $332 million, up 15% from Q1 FY18. Hindalco sees aluminium demand growing by 4-5% in the current calendar year and production to grow around 1-2%. The company, however, saw its share price dive over 4 per cent in intraday trade today.